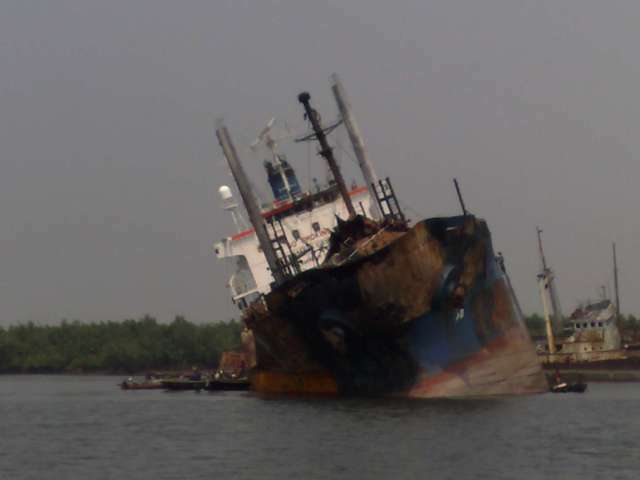 In 2008, FIVE OCEANS SALVAGE undertook successfully 8 salvage operations. The containership HAT I (10,832DWT, built 1987) suffered a main engine breakdown while in the Bay of Bengal, was unable to repair the main engine at sea and was adrift. Five Oceans Salvage was awarded the LOF on 12th December 2008. As a first response, salvors contracted and mobilised tug VOGO II that was ballasting nearby, to standby the casualty and hold her in position to prevent her from drifting to the Andaman Islands that were only few miles away. At the same time, salvors also mobilised own tug CORAL SEA FOS from Singapore to take over the tow. CORAL SEA FOS met with the convoy on 16th December, VOGO II was released and CORAL SEA FOS started towing to Singapore. Due to casualty’s constant sheering during the tow, salvor’s also mobilised their tug ARABIAN SEA FOS from Singapore to meet with the convoy at the entrance of Malaca Straits and act as steering tug through the dense traffic and narrow paths to Singapore. The vessel was finally redelivered to her Owners in Johor Bahru, Malaysia on 28th December 2008. The bulk carrier VENUS (62,000DWT, built 1980) was immobilized off Singapore due to main engine failure. She was laden with 53,600 tons of MOP (muriate of phosphate) bound for Qingdao, China. LOF was signed with owners and salvors engaged the 200 ton bollard pull tug FAIRMOUNT ALPINE from Singapore. The casualty was taken under tow by the FAIRMOUNT ALPINE to Qingdao in 12 days, having outrun typhoon “Sinlaku”. Salvors stood by for discharging and re-delivered the vessel in Qingdao, alongside her repair berth on the 21st September 2008. The bulk carrier FUNKY (3,177DWT, built 1992) was on a ballast voyage from Europe to Santo Domingo in the Caribbean when immobilized due to electrical failure 200 miles off the Bahamas in August 2008. LOF was agreed with owners and Five Oceans mobilized the tug ATLANTIC TEAK from Freeport, Bahamas and a technician from Greece. The tug towed the vessel 15 miles off Freeport where the technician with spares went onboard the casualty on the 16th August. Power was successfully restored the next day and services were then terminated. Late June 2008 the bulk carrier CORINA (36,255DWT, built 1977) run aground near San Pedro, Argentina, laden with 27.500 tons of soya. Five Oceans Salvage were engaged to assist the vessel on commercial terms. Salvors mobilized a Salvage Master from Buenos Aires and chartered local tugs LIBERTADOR and LIBRADOR to assist. The vessel was successfully refloated the next day. 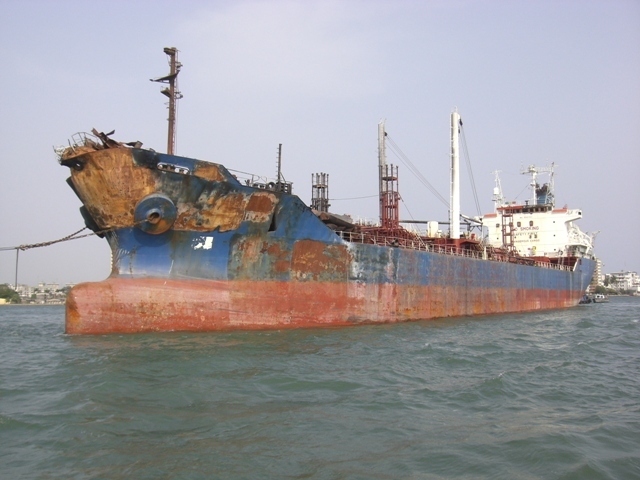 In late April 2008 the laden products tanker CHEM GLORY (29,000DWT, built 1992) was immobilized and suffering water ingress in the engine room from stern tube leakage. An agreement was reached with Owners on commercial terms and SOS mobilized from Singapore the AHTS CORAL SEA FOS with pumping equipment and a diving team to assist. The leakage was stopped by the divers and the vessel was towed to various locations in the vicinity of Singapore where her full cargo was lightered, before being delivered in Singapore on 21st May. In mid-April 2008 the bulk carrier ALKISTIS (8,850DWT, built 1982) was immobilized off Skikda in Algeria. Owners signed a LOF with FOS. 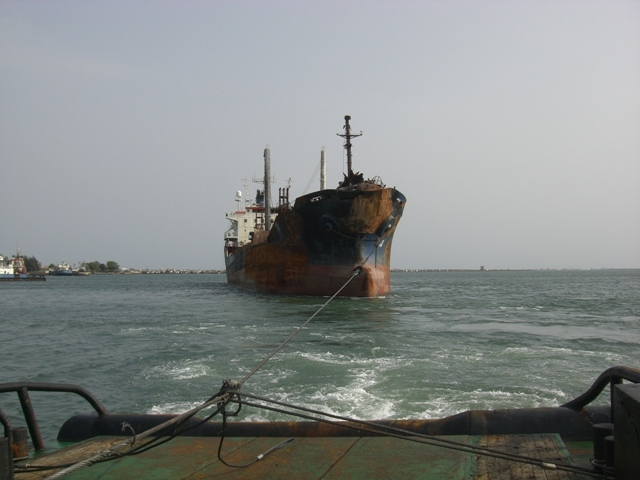 The vessel was towed to safety by local port tugs who subsequently claimed for salvage and arrested the vessel in Algeria. FOS negotiated and settled these claims and AHT MED FOS towed the casualty to Piraeus for repairs. 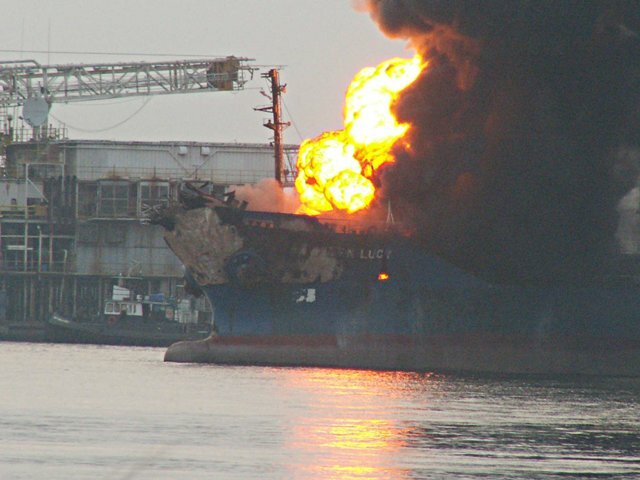 Combined chemical and oil tanker GOLDEN LUCY (12,740DWT, built 1987) suffered an explosion in January 2008 whilst discharging gasoline at Port Harcourt. 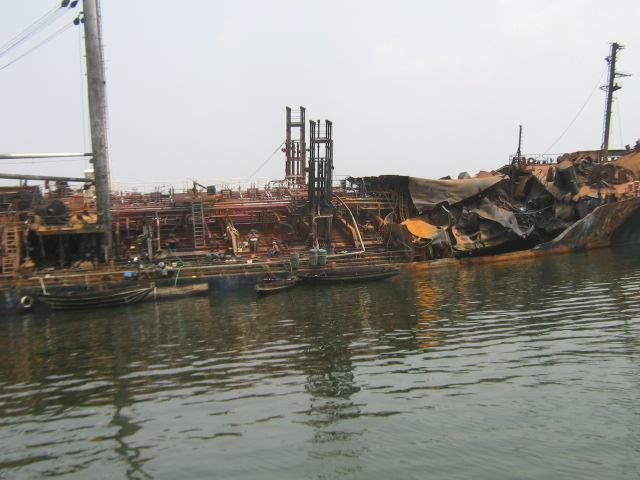 The vessel caught fire, broke loose from her moorings and ran aground a few miles upriver in a rebel-controlled area. 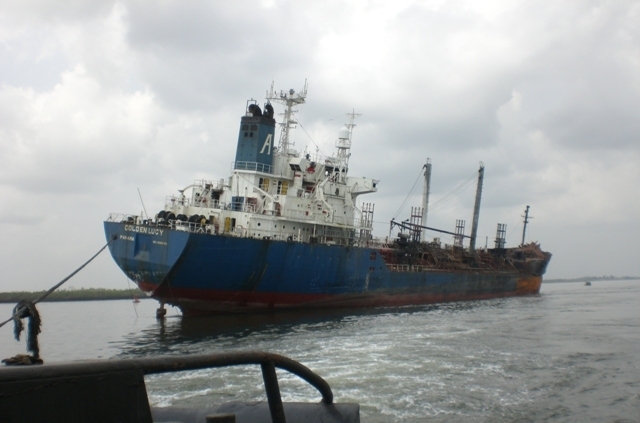 FOS were contracted on LOF with SCOPIC invoked and mobilized a salvage team to Port Harcourt. FOS, through their local representatives, managed to negotiate a price with the rebels for her release, organized a refloating operation, settled all other claims against the vessel (local community damages, local Authorities salvage claims etc), temporarily repaired the vessel and successfully delivered her to her owners in Lagos after a movie-like saga that lasted nearly two months. In January 2008 the bulk carrier LADY BELINDA (20,000DWT, built 1971) laden with iron ore, was immobilized due to fishing nets fouling her propeller in the north part of the Malacca Straits. A LOF was signed between owners and Swire Ocean Salvage (“SOS”), the first for the new joint venture between Five Oceans Salvage and Swire Pacific Offshore. SOS dispatched the AHTS PACIFIC TAIPAN from Singapore together with a diving team to assist. The drifting vessel was freed from the nets and taken under tow, only a few miles before reaching the oil rigs drilling in the area. The casualty was delivered in Singapore.